Have you ever had someone hold a flashlight for you while you’re trying to work on something? The light is never exactly where you need it. You need a hands-free light that follows your gaze to illuminate whatever you’re looking at. 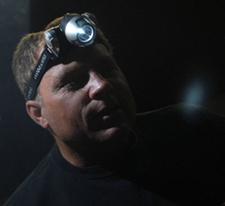 You need the Brinkmann LED Headlamp! The Brinkmann LED Headlamp fits comfortably on your head and provides bright light wherever you need it. It’s impossible to hold a flashlight while detailing or working. The Brinkmann LED Headlamp features a long-lasting LED. It provides 15 hours of continuous run time on one set of batteries – plenty of time to complete a detail! The headlamp pivots to give you light right where you need it. The on/off switch is easily accessible and the elastic headband adjusts to fit comfortably. The Brinkmann LED Headlamp is made out of durable ABS. Learn more and get your own Brinkmann LED Headlamp at Autogeek.net.